Europe is known for the beautiful beaches everywhere. Enjoying in different kinds of art is inevitable when it comes to moving to Europe. Business and job opportunities are fantastic in the Old Continent. Therefore, why wouldn’t you put all of those three aforementioned in one? Why wouldn’t you pick one of the European coastal cities for your move, get lazy laying on the beaches, have a great job and opportunity to enjoy in old European art? That is what we recommend, being that many of our clients did it! And their life became so much better after the packing and moving to the ports of Europe. 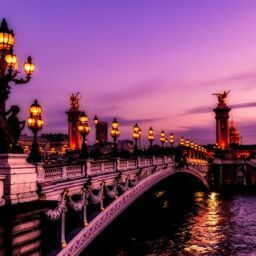 We are about to present some of the most popular European coastal cities to you in this article. There are so many great ports and coastal cities in Europe. Saying just a sentence about each of them would take thousands of pages. That’s why we picked only the top ones, by our clients’ suggestions. We can’t claim those maritime places are the best in this continent.But we can say that our clients moving there feel the greatest satisfaction possible. If you are someone who enjoys swimming in the sea, everywhere you put your finger to you may find a blue flag in Europe! So any place you pick is probably good to move to for various reasons. We will say why those we picked are top recommendations from us and our clients. Barcelona, Spain- European coastal cities’ representative for migrants who love the beauty of architecture and warm weather conditions! Barcelona, everything an immigrant to Europe might want of a coastal city! Unlike the great part of Spain, Catalonia, and especially Barcelona, felt no 2008 economic crisis influence. Migrating talents from the most various spectre of jobs have great career opportunities here! In case you are someone loving sea shore, but you need a good job, ’cause you never had one before- Barca is spreading her hands to embrace you! 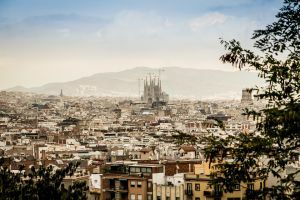 What you are commonly required is to be multilingual, tolerant(being that Barcelona is a multicultural city) and, of course, to be very good at what you do! Weather conditions are going to make you smile once you relocate to this European port! Choosing Barcelona among various European coastal cities for your move would let you enjoy in long and hot summers and short and mild winters. We may assume you are a summer loving person, being that you read this article. So this should be a great news for you! Relocation to Barcelona is turning the skies above you into the bright blue colour for the most of the year! Barca is known for that. No, you don’t need to go to a museum, open or closed one, if you are choosing European city to see beautiful architecture. Just walking down the streets of the second greatest city in Spain would make you feel terrific for the architecture. There are various architectural styles everywhere you move. Dating from very old to the modern buildings. Also, talking about Barcelona’s architecture without mentioning Sagrada Familia would be very unthoughtful from us. Some other famous buildings here are Rohe’s Pavilion and also Jean Nouvel’s Torre Agbar. Move wherever you like, and you would be getting to different, but beautiful spot. Moving to Rome would make you near the sea, close to mountains and not so far from Tuscany, another beautiful place in Italy. 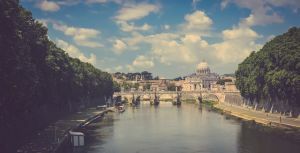 So, regardless of what you like the most- summer or winter; skiing or swimming; laying on the beach, drinking tea in the mountain or having a glass of wine in the Tuscany; You get to pick what shall you do if you migrate to this European maritime city. It is enough to mention that the Roman empire was one of the strongest empires ever. And Rome was the centre of it! So you may imagine how many historical monuments lie here and make you feel the spirit of the old ages. There are so many theatres, Roman baths, basilicas, and so on. Visiting one monument a day would take you years to see them all! 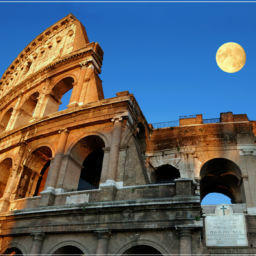 So in case you are a migrant who loves history, you would make the adventure of every day by picking Rome among European coastal cities for your move! Did you know that there is a period of the day when most of the stores close and make a pause for a couple of hours? Many people take a nap during that time. Wouldn’t it be just great to move to European coastal city where time slows down at a certain period of the day? You wouldn’t necessary need to take a nap, but you could be able to do that. It would be a great change of lifestyle, in case you live in a fast-living city, which most of the modern cities are. 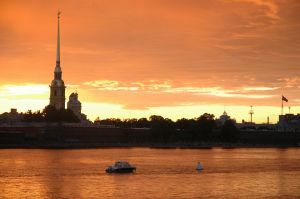 The city of st Petersburg is consisted of around 40 islands. Peter the great, the ruler that founded the city, forbade the building of the bridges. He wanted people to move around the city using boats. Now the city of St Petersburg is a big attraction for both- tourists and migrants because of the beauty of canals. Although water had a negative impact during the history, because of the floods, you can’t notice that. Moving to St Petersburg among European coastal cities for your move would make you love every day of your life because it would be completely different from what you got used to. Various czars ruled during St Petersburg was the capital of Russia. Every of them left the influence on the city’s architecture. Walking down the streets of Northern Venice, a newcomer moving here may see classical sculptures, royal gardens, terrific churches, and also baroque palaces. Everything harmoniously built to make beautiful city which St Petersburg is today. As we said, St Petersburg was the capital of Russia for a couple of centuries. Therefore, during that period, historical monuments swamped the city. That is what makes St Petersburg look like an open historic museum today. Not only buildings but also the monuments, architecture, and how the city looks like in general are what makes you happy to Chose to migrate to this Northern European port, among European coastal cities for your move, as a history loving person.